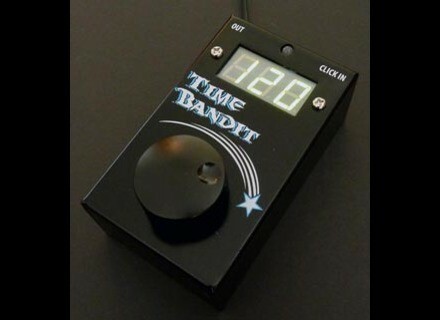 Time Bandit, Delay/Echo/Phrase Sampler for Guitar from Truetone. Visual Sound is presenting the V3 Dual Tap Delay's little brother, the V3 Visual Sound Tap Delay. 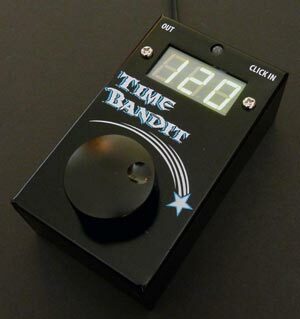 The new V3 Tap Delay has tone and features of channel 2 of the DTD. Like its big brother, the Tap Delay features a tone control for darkening your echo, and a modulation knob to add a bit of chorus to your repeats. Half the size, all the tone. Visual Sound's Pure Tone is now available in a new Custom Shop package. You can put it first in the chain of effects, plug in your input and output cables and a 9V power supply (like the 1 SPOT...), and your guitar will sound like it's plugged directly into your amp with a short cord, the company assures. [NAMM] Ritter R8-SingleCut Bass & Monroe Guitar Jens Ritter Instruments has announced the latest additions to the German luthier's lineup: the Monroe Guitar and the R8-Singlecut Bass. [NAMM] Fender Machete Combo Fender introduces the new Machete combo amp. [NAMM] Fender 50th Anniversary Jaguar Fender celebrates five decades of the Jaguar guitar by introducing the 50th Anniversary Jaguar model.